I really like mayonnaise. I mean I really, really like it! When I am doing the Egg Fast, I use more than I normally would. It was starting to bother me that all the store bought mayo around here were made with either canola oil or soybean oil. So I decided to make my own keto avocado oil mayonnaise recipe. There is a printable recipe card at the end of this post in case you want to print and take this recipe with you. If you want to see how this keto avocado oil mayo fits into your keto lifestyle, I talk a little about oils and fat in another article if you want to read a list of which fats and oils are best for the Keto diet. Is Avocado Oil Mayonnaise Better Than Regular Mayonnaise? The issue I have with the oils used in store bought mayonnaise is the high Omega 6 content as well as the fact they are partially or fully hydrogenated. Not good! Acocado oil is a superfood, it has healthy fats, can help reduce cholesterol, can improve your skin and your ability to heal, and so many other great health benefits. Don’t take my word for it, check out this article by healthline. Making this homemade keto avocado oil mayo recipe is really dead simple! All you need is a jar and a stick blender. The recipe below can be customized with whatever oils and flavor you want. Add dill weed or make a curry mayo or a chipotle mayo. The possibilities are endless! In the avocado oil mayonnaise pictured here, I used a teaspoon of dried cilantro. Why Use Avocado Oil For Mayonnaise? A word of caution, don’t make a homemade mayonnaise recipe with extra virgin olive oil! Just don’t! I think every single person who attempts homemade mayo makes this mistake at least once. We think because it’s a nice healthy oil it should make a great mayo. NO! It tastes like dog doodoo (not that I know first hand what that tastes like!) and you will end up throwing it out. The secret to making your own mayonnaise is using an oil with very little flavor. 1 teaspoon yellow mustard – Do Not Forget This! It somehow makes the mayo set better! Put all ingredients in a wide mouth jar. Using the immersion blender, run it until the mixture emulsifies and looks like mayo. How easy is that!? I have made mayonnaise using a regular blender and yes, you can do that. You have to first blend the egg and other ingredients and then slowly drizzle in the oil. The immersion (or stick) blender is just my tool of choice for this job! I like the Cuisinart because it comes with a perfect jar that fits the blender and has measurements up the side. It also works beautifully! 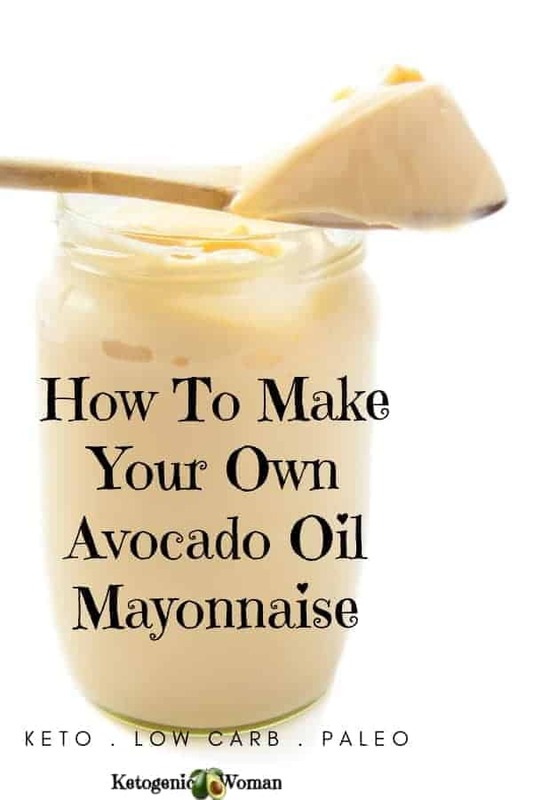 I hope now that you have seen how easy it is to make your own mayonnaise that you will give this a try! 1 teaspoon yellow mustard - Do Not Forget This! It somehow makes the mayo set better! Save this recipe to Pinterest for the next time you make your own Avocado Oil Mayonnaise! 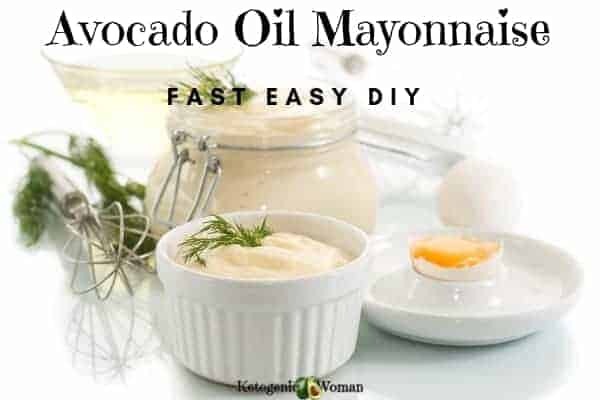 Tagged avocado oil mayonnaise, easy homemade mayo, egg fast recipes, stick blender mayonnaise. Bookmark the permalink. 48 Responses to Easy Avocado Oil Mayonnaise Recipe So Delicious You Will Want it on Everything! Does it thicken up? I did exactly as the recipe said and it’s super runny! Yes, absolutely it should be thick like mayo when you are done. Your choices are to make salad dressing with it, or add another yolk and a teaspoon of yellow mustard to try and save it. I keep hearing that yellow mustard thickens up failed mayo. Do I use this recipe for mayo then use it to make my ranch dressing? Once you make mayo, you can use it the same way you would use any mayo! Yellow mustard in the bottle? Or dry mustard? Finally a avocado mayo by Chosen Foods without SOYBEAN OIL. I live in Texas and find it at HEB – smooth and yummy. Yes! I bought that recently, it’s great! I got it from Costco here in Canada. For online shoppers get it here from Amazon for a good price as well. Thank you for this recipe! I recently threw out our Olive Oil mayo because it was revolting. I ordered more Avo Oil the other day and will make this as soon as it arrives. As for how long this would last in the fridge, I can’t address whether or not it will separate. I will say that if the concern is eggs, things last a lot longer than people think. Until a few months ago, we had our own chickens for many years. Never refrigerated the eggs (the chickens sit on them for days, after all), and never had a problem. All that said, mayo doesn’t last us long and this will surely go more quickly! yes, I agree about the eggs! I come from farming stock and never saw an egg in the fridge ever! This is the second time I’ve used your recipe and this time I doubled it. I LOVE it…so simple and delicious. I like to use Dijon mustard because I really like the taste. This is the best mayo! Thanks for stopping by to let me know you like it! I love changing up the mustard and the seasonings. Just treat it like any other mayo and use 1 tbsp as a fat. Sorry to ask but did you use powdered mustard or regular. Then Englih/ French or is it your choice? I just used a squeeze of the regular yellow mustard! no, I use the whole egg all the time. But I know some use just the yolks. Did you use the yellow mustard? Sorry it didn’t turn out for you. I just made..turned out great! What is the nutritional facts? It’s going to be the same as any mayo out there. Most mayo that I have seen is about 100 calories and 0 carbs per tablespoon. Glad it turned out! Mine came out liquid so next batch I only used egg yolk which most recipes call for. Was there an error in recipe?? I’m so glad I found this recipe. I love mayo, but don’t want the soy or canola. I’ve tried Primal Kitchen’s Avocado Oil, but it’s expensive and far too tart for my tastes- they use a lot of lemon juice. This looks fairly simple, and easy to trouble-shoot if it doesn’t come out right. 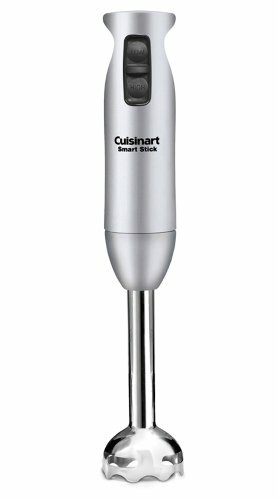 Do you need to drizzle in the avocado oil when using the stick blender, or only when using a conventional blender? Also, is it safe to consume raw eggs? Thank you! I’m a very impatient oil drizzler! I like using the stick blender because it for me it works even if I dump it all together. Good luck! Mayo has been made with raw eggs for as long as there has been mayo! I forgot to add the mustard and I used the juice of 1/2 a small lemon. Flavoured with dried tarragon. Turned out great. Do you use dry or wet mustard? I used a squirt of regular French’s yellow mustard. I read someplace that there was something in it that helped to bind the mayo. Maybe it was an old wives tale. 🙂 I’m glad it turned out for you though! Do you have a Keto dairy-free Caesar salad dressing recipe using your Keto avocado mayonnaise? No but you could totally do that! Take some of the mayo and add some crushed garlic, some lemon, some olive oil, dijon mustard. You could even get crazy and add some anchovy! It’s a yummy idea. For quantities I would try 2tbsp mayp, a couple garlic cloves, maybe 1/4 cup or more olive oil or avocado oil, a tbsp lemon and mustard. Just kind of throwing that out as a starting point. oh I hope it works for you. Mayo is one of those things that is not 100% fool proof, I can do it exactly the same way 10 times and it’s perfect, then the next time it’s not. But I can always fix it with another yolk or two so I hope it works for you too. I have had epic mayo fails, too. But rather than throwing out my (expensive) watery mess, I found it makes for amazing salad dressings! Green Goddess, Ranch, Creamy Italian, etc. 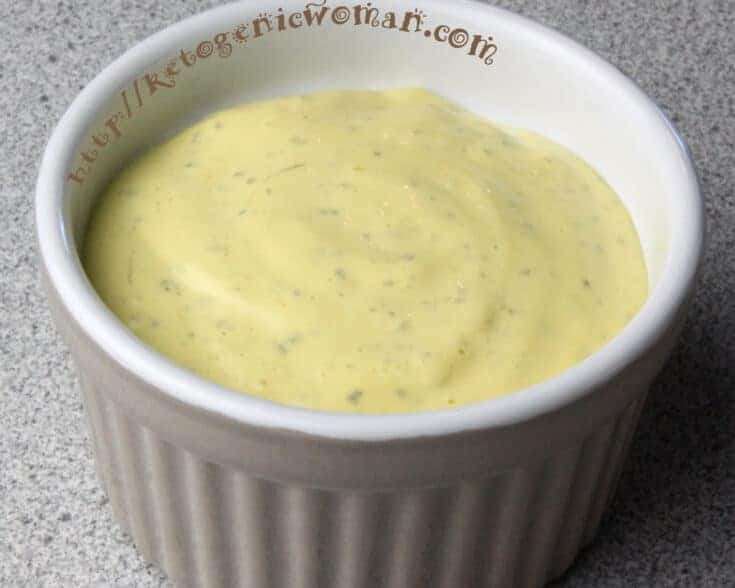 Fortunately, this recipe for mayo from Ketogenic Woman has been a never-fail resource! Just wanted to encourage you (and others) to get creative if you have a mayo fail. Thank you so much for this idea, I did not want to throw my watery mayo down the sink. Salad dressing it is until I get thi right? LOL I’m glad you said using extra virgin olive oil would make it taste like …. well, you know. That would have been the oil I would have tried making it with. Now I’m anxious to try this out. I’m assuming avocado oil would be in the same place as olive oil in the grocery store? I’m not much of a cook, so don’t know where to find some things like avocado oil. I’m sure I’ll find it though. And I love avocados – and cilantro! Is Himalayan Sea Salt different from regular sea salt? Karleen, the first time I made mayo I used the Extra Virgin and I had to throw it out it tasted so bad! I am seeing avocado oil more and more in regular grocery stores. It used to be only at places like Whole Foods. It should definitely be near the olive oil. Himalayan Sea salt is pink in color and has over 80 minerals! Thanks for your comments! I do have a question…I love this mayo recipe, but if I added a little lemon juice, would that ruin it? If you think it would be okay, how much could I add? I do sometimes love a mayo that has a little zing. It’s hard to say, I have never done that. Sometimes people add apple cider vinegar when they make mayo, so it seems like it should be ok. I guess you’ll have to give it a go! I added a TBS of lemon juice, it work fine! Hooray! I just came back to this recipe to re-read and see if I had done something wrong…I made the recipe a few weeks ago and loved it! Made it again yesterday, and it turned out all liquidy–I was so disappointed, then it dawned on me I had used a cold egg and thought that must be why, so I threw it all away, not knowing what else to do. Bought more avocado oil today and made it again–same result! I was mystified but did not throw it away this time. Discovered the above posts, ran to my kitchen and added the yolks and more mustard…ahhhhhhh, heaven! Thank you! oh I am so glad you were able to salvage it! It happens to me every once in awhile for no apparent reason. But the rescue works every time! I tried this with a medium egg. I had to use another egg and a little more mustard to get it to thinken up. The result was worth it. It is very creamy. One of the best mayonnaise recipes I’ve tried. Thanks. Glad that you were able to tweak it and make it work. I find with making mayonnaise it’s a bit of an art as well as a science. I now much prefer using avocado oil for mayo instead of olive oil, thanks for giving it a try! Just tried making mayo using your recipe. Followed it exactly – egg was room temp, even used my Cuisinart immersion blender. The mayo broke and never firmed up but stayed totally liquid. This has happened before using other never fail recipes that promise perfection, even though the recipes are followed to the letter. Obviously it isn’t an issue with the recipes since others reported amazing mayo outcomes. This actually happened to me the very first time I made. I forgot the yellow mustard, there’s something about that. Here is how I saved it. I took the runny mayo and put it back in the jar with a squirt of yellow mustard and 2 egg yolks. Did the immersion blender thing and voila it was thick as pudding. I hope that works for you! Mayo. How long will it stay in fridge? Some people say a week. Personally I use it for up to 2 weeks, but normally it’s gone quicker than that. The recipe only makes about a cup.